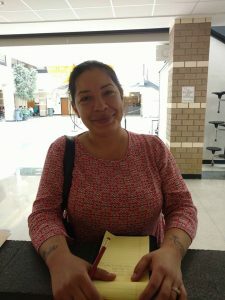 Ms. Alicia Leyva is the Clinton City Indian Education Coordinator for the Coharie Tribe. Ms. Leyva’s office is onsite at Sunset Avenue School located at 503 Sunset Avenue, Clinton NC 28328. Ms. Leyva can be reached at 910-592-5623 Ext. 1673. 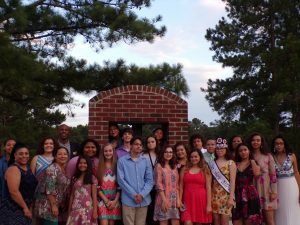 Alicia Leyva has worked with students for more than 20 years. She has worked at Faith Academy as a Lead Teacher, Sampson Community College as a tutor, Clinton City Schools as a tutor, substitute teacher, and Indian Education Coordinator. We would like to recognize one of Clinton City Schools Coharie students Ms. Laci McNeill. Ms. McNeill received one of the 2019 United Tribes of North Carolina Scholarships in honor of Mr. Alex Dakota Sutherland. 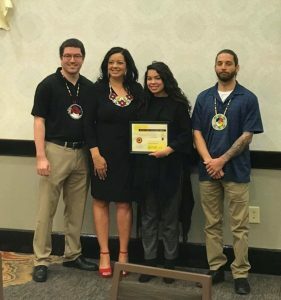 She was presented the scholarship on March 9, 2019 at the United Tribes of North Carolina Unity Conference. Congrats Ms. Laci McNeill on this accomplishment! NCNAYO is held every year in June. This is a youth conference that our Native American Indian youth can attend yearly. In order to attend you must be a rising freshmen in high school. For more information, please contact the Indian Education Coordinator in your area.